↑ "'भाषाओं की क़ब्रगाह बन गया भारत'". ↑ "Hindi migrants speaking Marathi rise to 60 lakh". ↑ "India census results 2011" (PDF). 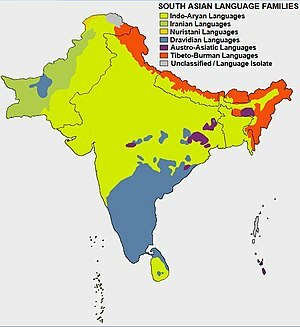 ↑ "Hindi mother tongue of 44% in India, Bangla second most spoken". ↑ ORGI. "Census of India: Comparative speaker's strength of Scheduled Languages-1951, 1961, 1971, 1981, 1991 ,2001 and 2011" (PDF). ↑ "How many Indians can you talk to?". 10 Unusual Facts About Indian Languages. How Many Do You Know?